On Monday, April 8, 2019, McCracken County Sheriff’s Office Drug Division detectives conducted three separate investigations into illegal drug activity that netted six arrests. 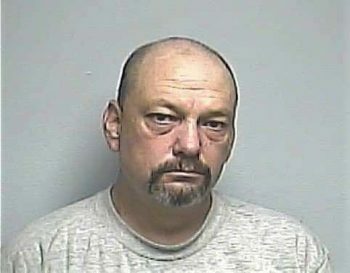 Over approximately two weeks, detectives had been receiving information that Bobby J. Whitis, 47, of Gilbertsville, KY, was selling methamphetamine in McCracken County, KY. In addition, detectives knew Whitis had several active arrest warrants. During the course of the investigation, Whitis agreed to meet undercover detectives and sell them methamphetamine. Detectives observed Whitis pull into the parking lot and parked at the agreed meeting place located on Irvin Cobb Drive. Whitis was then taken into custody without incident. Whitis was found to have crystal methamphetamine sitting in his lap when detectives approached him. In addition, Whitis was found to be in possession of drug paraphernalia. Whitis was arrested and lodged in the McCracken County Regional Jail. 1. Trafficking in Controlled Substance 1st Degree 1st Offense – (> OR = 2 GRAMS Methamphetamine). 3. Marshall County Circuit Court bench warrant for Failure to Appear.